This minor planet was discovered 1904 November 16 by M. Wolf at Heidelberg. It was named for the wife of Frederick of Telramund in the opera Lohengrin (1878) by Richard Wagner. 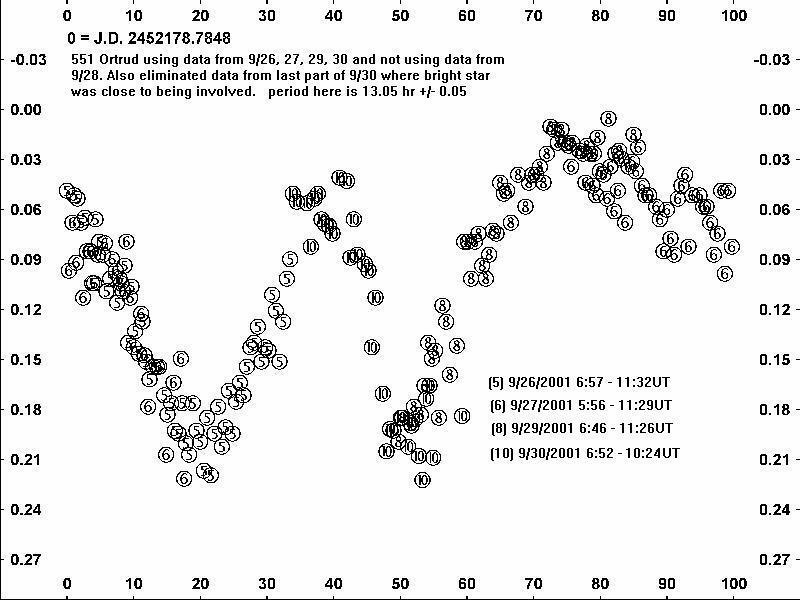 A total of 269 observations were made and 246 used from data acquired on September 26, 27, 29, and 30, 2001 covering the entire lightcurve with no gaps. The period of the lightcurve was determined to be 13.05 +/-0.05h and the amplitude 0.22 +/-0.02m. The curve has some unusual characteristics including a very steep drop from one maximum to minimum and a relatively long plateau at the other maximum. Published in the Minor Planet Bulletin Volume 28, Number 4, A.D. 2002 October-December. MPO Canopus Data File available on request.